A while back I featured another fan-made Mega Man project, Mega Man 8-bit Deathmatch. SInce all seems to be quiet on the blue bomber front as of late, here is another fan-made Mega Man title. 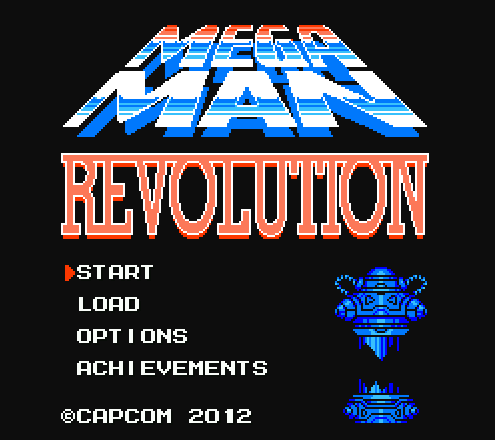 Unlike MM8DM, Revolution is more of a traditional Mega Man game in the 8-bit style. It’s a follow up to the storyline of Mega Man 8, as it involves teh evil energy which was a plot point of that game. Other than that, it’s the usual Mega Man style gameplay, there are 8 robot masters, you have to take them on in a certain order, you gain their weapons upon their defeat, and when the 8 robot masters are gone, you take on Wily. Fans of the series wouldn’t have it any other way. Download it from here. The sequel to the $1 one-person developed indie hit, Action Arcade Wrestling 2 combines retro-style wrestling action with deep customization. There is a huge variety of match types, and players can use the customization tools to design their own wrestlers and ring. Players can go to the creator’s website to download a tool to use on their computer to further refine their created characters, and there is already a community centered around the game that has recreated several old school wrestlers. The game is not polished, although the creator is providing patches and support. Sadly there is no online multiplayer, but if you have a few friends over, you’ll have fun with the game’s many match types. 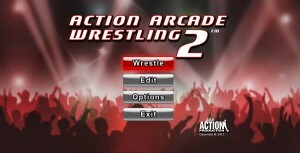 Action Arcade Wrestling 2 may not be the second coming of Fire Pro Wrestling returns, it’s still a hit for wrestling fans with $3 to spare. At the least it will help pass the time before WWE 2k14 hits. 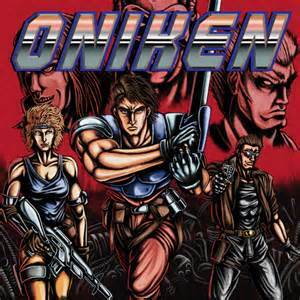 You can be forgiven for thinking that Oniken is a lost NES title. Brazilian developer Joymasher’s indie title is a tribute to classic hack ‘n’ slash platformers like Strider and Ninja Gaiden. If this title came out 25 years earlier, it would be one of the best selling titles on the NES. As Zaku, you are on a one-man mission to bring down a corrupt regime in a post-apocalyptic world. You’ll encounter several enemies and bosses, and you’ll obtain several power-ups. The difficulty can be brutal, but classic NES gamers wouldn’t want it any other way. You can purchase it from Desura, and it’s on Steam Greenlight. Check out the group’s next entry, Odallus, a game that has Castlevania and Metroid influences. Joymasher is a group that fans of classic action games will want to keep an eye on. 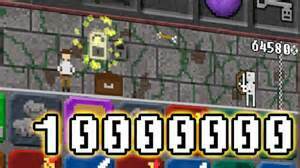 10000000 is a mash up of match-3 puzzle gameplay and dungeon crawling. It doesn’t look like much, but it’s very addictive and it’s a perfect time killer for mobile devices. Your goal is to escape from a dungeon by scoring 10000000 points – however it all has to be done in one session. Each time you are defeated, you are sent back to your room. However, you can use the wood, gold, and stone gathered during each run to upgrade shops, unlock new features, and gain new abilities which will make it easier and easier to make it through the game. Although there isn’t much to do after gaining the 10000000, it’s still a fun and simple game that’s best suited for mobile devices. If La Mulana had been released on the SNES, it would have stood right up there with games like Castlevania and SUper Metroid as one of the greatest titles of the 16-bit generation. The game isn’t pretty shabby today either. La Mulana is an upgrade of an independently developed game. 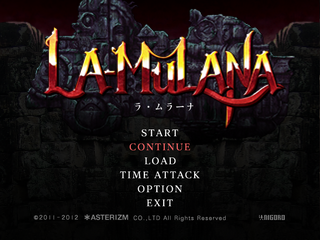 The original La Mulana (available for free on Tiggit) was done as a tribute to classic MSX games, and was developed by Takumi Naramura. A company known as Nigoro snatched up the game, upgraded it’s visuals to resemble 16-bit gaming systems, and ported it to WiiWare, while GR3 Project ported it to Microsoft Windows. Having a exploration-heavy style of gameplay similar to Metroid and later Castlevania titles, La Mulana puts players in the role of a young archaeologist who explores an ancient tomb. You’ll gather items and abilities to progress, and the game is non linear. 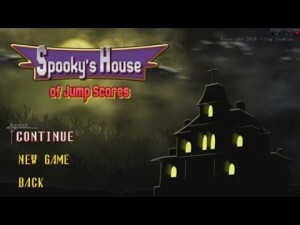 The game has a high difficulty level and leaves it up to you to figure out how to progress. You’ll run into several bosses and characters throughout your journey. If you’re a fan of classic action games, you will want to add this to your collection. It’s available at Gog.com, where it’s discounted as part of the site’s winter sale. 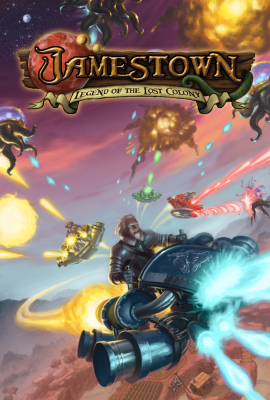 Jamestown is an independently developed bullet hell game. Developed and financed over a 2 year period by a three person team, Jamestown tells the tale of an alternate reality 17th century where the British are at conflict with the Spanish over colonies being established on Mars. In a deviation from our history books, the Spanish team up with martian aliens to wreak havoc on the British. Your character is a former prisoner saved from execution who sets out to clear his name. There are only 5 levels, but they are challenging and many of them have to be unlocked. You can use money earned during the missions to upgrade your ship. Up to 4 players can join you locally, and players will enjoy the beautiful graphics and twitch gameplay. Jamestown was included in Humble Indie Bundle 4, and it has downloadable content available for it on Steam. Fans of old-school shooters will love it, and if you got 3 friends, the co-op makes it even better.